Although we moved from 20 acres in the country to a house on a city lot, I’m doing a lot more walking here in town. This seems counter-intuitive, but not when you consider that a healthy neighborhood really serves as everyone’s “front yard”. Like much of Chico, our new neighborhood is supremely walkable. Chico prides itself on being pedestrian and bicycle friendly, and not without justice, although the reality can be a mixed bag. Here on the east side we have quiet, shady, tree-lined streets with cracked sidewalks, gardens peeking through and crawling over old fences, children playing on their lawns and riding bicycles, and a decent variety of modest landscapes all of which make for pleasant and interesting walks. A few days ago my older boys and a friend asked to walk in Bidwell Park after nightfall, because the park is spooky-looking and it was a full moon, and off they went for over an hour, loving every minute. I kept my daughters at home, over-protective dad that I am, but perhaps I’ll relent if we go in a larger group. This afternoon I met some of our neighbors at a garage sale across the street, a retired couple who has lived there for 25 years. The old gentleman makes birdhouses and sells them to raise money for his grandchildren. We’ve only met a few neighbors thus far: most keep to themselves and seem to like it that way. Is there an invisible community here? My guess is that there does exist a community of sorts, especially among the parents of children attending the neighborhood elementary school, and perhaps among the older residents as well. But I suspect that most of our neighbors are people like us, with the majority of their social network existing well beyond the neighborhood. “His editorial presumes that there is such a thing as a town, full of people who know one another and who take pride in where they live. For the same issue presents a forty question test to see whether you live in a healthy town, with thirty ‘yes’ answers being the standard to shoot for. The first criterion? ‘Most high school graduates stay in town.’ Also telling: ‘More than half the church congregations [sic] are under 40.’ Are the streets lined with shade trees? Is there a recreation center where young people dance? The Ike-liking editors aren’t laissez-faire economists. They aren’t the sort of pseudo-conservatives who see devotion to the family as an obstacle to ‘progress,’ whatever that is. They want the money to stay nearby, so that it will be spent nearby – even taxed nearby. In other words, these are deeply civic-minded conservatives. I doubt one could find more than the thinness of a dime between what they assume about civic duty and Catholic social teaching. For both assume the existence of a society: people who are socii, companions, fellow travelers, neighbors. Behold another telling criterion for the good town: ‘There’s as much interest in local as national elections.’ That can only be so, if local elections matter, and local elections can matter only if local people feel they actually have some influence upon their common life – and if there is a common life to begin with. That takes us to the heart of the problem: morality. Authentic community depends upon a shared moral consensus. Most Americans can no longer assume that such a consensus exists in their neighborhood, or even in their own families, and so whatever can be had of “community” is necessarily outsourced. Bishop Cordileone, a staunch friend of the traditional Latin Mass and the architect of California’s Proposition 8, has been appointed Archbishop of San Francisco. You might want to take another sip of coffee and read that sentence twice. I have to say, with the recent appointment of Bishop Vasa to lead the diocese of Santa Rosa, and now this, it seems that at long last Rome is determined to clean house in California. 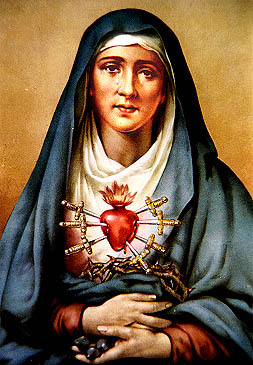 Deo gratias! “After a half-century of occupants accused by conservatives of soft-pedaling church teaching in favor of a more conciliatory approach toward constituencies ranging from gays and lesbians to Nancy Pelosi – a group of prelates among which the recently-retired chief guardian of church doctrine, Cardinal William Levada, was not exempt from sometimes stinging criticism — the move delivers the long-desired ‘Holy Grail’ of the American Catholic Right firmly into the faction’s hands, in the form of a prelate already known widely both for his forcefulness and a stringent doctrinal cred almost unequaled among his confreres on the national bench. ‘…. I make it known to you that from the end of the 19th century and shortly after the middle of the 20th century…. the passions will erupt and there will be a total corruption of customs (morals)…. 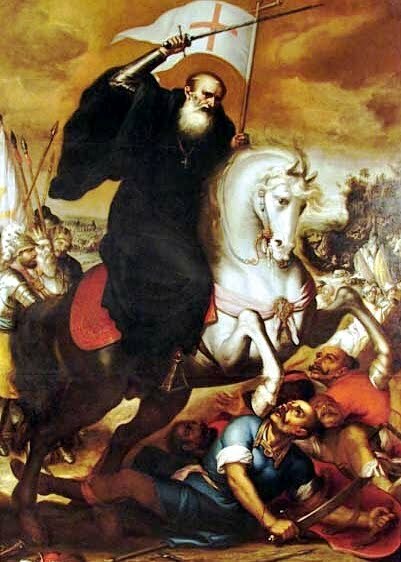 ‘As for the Sacrament of Matrimony… it will be attacked and deeply profaned… The Catholic spirit will rapidly decay; the precious light of the Faith will gradually be extinguished… Added to this will be the effects of secular education, which will be one reason for the dearth of priestly and religious vocations. Why? Because I haven’t seen it, have no desire to see it, and am already tired of hearing about it. Isn’t “Batman” a comic book story for children anyway? Why are adults gushing over films about comic book superheroes? Haven’t Christians learned by now that Hollywood and pop culture are not to be trusted? Don’t we already know that this production will be shot-through with worldly values, false philosophies, moral confusion, crude humor, sexual immorality, gratuitous violence, casual blasphemies, etc.? No, you say, maybe not? Then tell me why it’s worth sacrificing four hours, the cost of a movie ticket, and 20-30 minutes of filthy previews to find out that maybe “Dark Knight Rises” isn’t quite that bad. The story’s focus is the Joker, played by the late Heath Ledger of ‘Brokeback Mountain’ fame. The Joker is portrayed as a man engaging in a purity of evil rarely seen. An anti-Christ type figure, he engages in evil for evil’s sake and not for any material motive, and is totally unconcerned about his own well-being. So youth seeing the film will see the evil of the Joker, be repulsed by it and turn away from it, right? Wrong. There are two supermen in this film – Batman and the Joker. One problem, however, is that while Batman is a somewhat distant figure – a multi-billionaire whose money is largely the source of his being a superhero – the common man can relate more to the Joker who is a man dealing, in his own intensely cruel way, with a rough past. In one scene the Joker describes the way he got his ‘smile’ – the two obvious scars which run up from both corners of his mouth. He describes domestic violence in his home where his father attacked his mother and then turned on him as a child, saying, ‘Why so serious? Let’s put a smile on that face,’ and carved one in. As sick and scary as that scenario is, it is nevertheless one with which a great many of today’s youth – deeply scarred internally – will easily identify as they too have been subjected to domestic violence. And if that’s not enough, Joker changes the scenario half-way through the film. He explains that his ‘smile’ is the result of an incident stemming from a disagreement with his wife who would thereafter have nothing to do with him. Hence, Joker’s psychosis is portrayed as being a response to the all-too-common experience of domestic turbulence, whether involving one’s parents or one’s spouse. The Joker and Batman are both presented as virtually invincible; indeed, if anything, the Joker is presented as being more powerful in many respects. He is completely unrestricted in terms of his actions, while the film clearly portrays Batman as hampered by his conscience. Batman The Dark Knight could easily be seen to portray good as a weakness which is used and repeatedly exploited by evil – the Joker. The corruption of the good in people is one of his main aims – it is in fact the only purpose which can be discerned in the Joker’s otherwise completely chaotic acts. “Are there going to be imitators of the Joker portrayed in The Dark Knight? There already are. Just look on YouTube for the number of videos where teens are dressing up as and imitating the lines of the Joker. Even more seriously, however, there have been crimes committed since the film’s release where the criminals have dressed in Joker makeup. By now, everyone has heard of the latest Joker impersonator in Aurora, Colorado. That’s reason enough to pass on seeing this film. There is something about the Old World – a secret – that gives its people a peace about life. We Americans are about new beginnings, forgetting the past, starting over. That’s not all bad: it’s a very Franciscan quality. Heaven knows I depend on it daily. But the Old World is drenched in blood, it’s civilization founded on murder, every square inch of land the site of some unfathomable atrocity. And yet, there is no peace like an Old World peace. I don’t know what to make of this peace, but I need it. America needs it. Provides a way for people to receive medical coverage while not participating in the HHS mandate providing abortion, sterilization, and contraceptive services. Is a cost-effective plan utilizing monthly contributions wherein members provide for the healthcare needs of other members. Cost control is achieved by directing a greater percentage of monthly fees toward medical costs vs. traditional healthcare plans, and by capping payouts to fees collected by all members. Excellent, but long overdue. Of course the legal uncertainties loom very large and will doubtless interfere with the plan’s success. 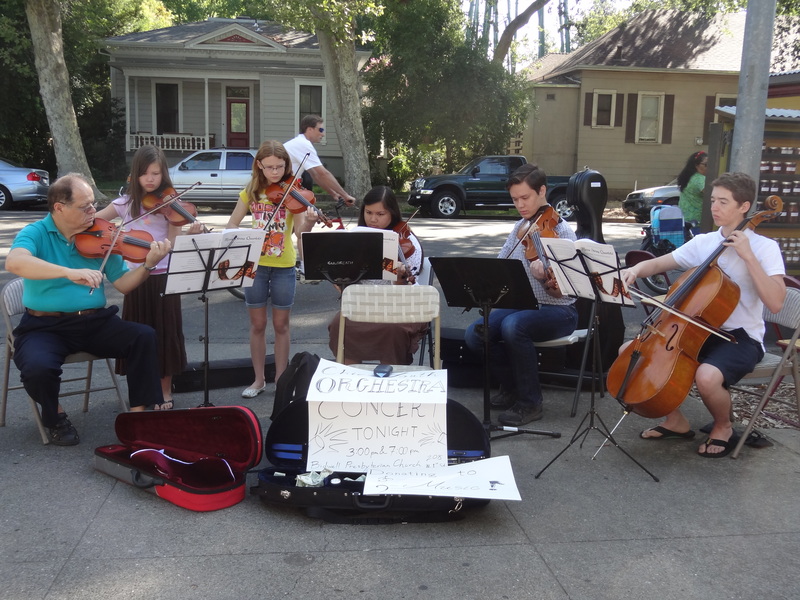 Last week our fair city of Chico hosted the annual Summer Music Academy sponsored by the Music Teacher’s Association of California – Butte County Branch. The event was held in the classrooms and sanctuary of Chico’s historic Bidwell Presbyterian Church. 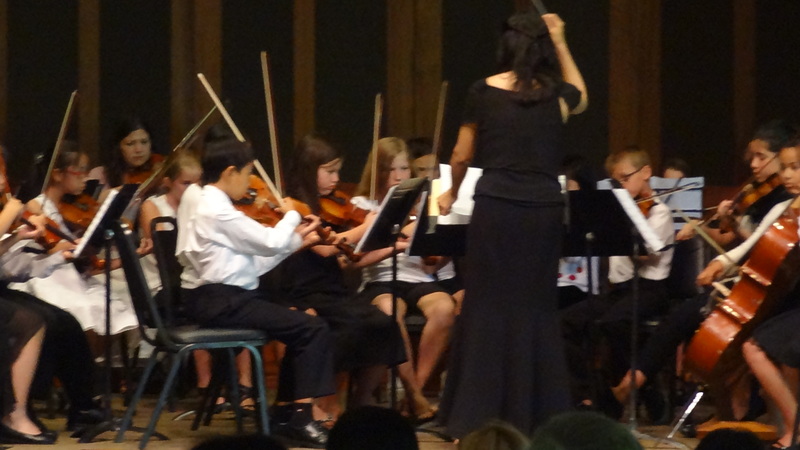 Dozens of rising young musicians received specialized instruction from master teachers in violin, viola, cello, piano, and harpsichord. 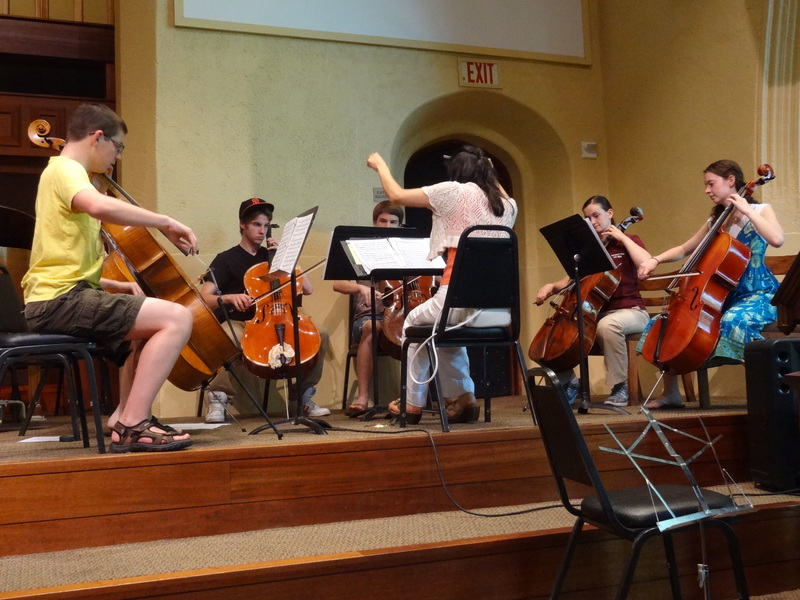 In return, they performed three concerts for the community on Friday and Saturday featuring the works of Bach, Mozart, Hayden, Beethoven, Mendelssohn, and other renowned composers. 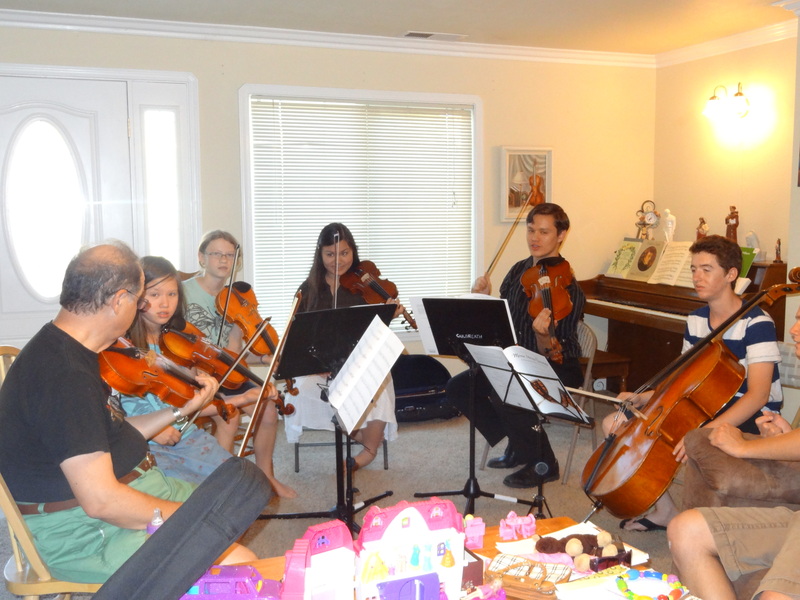 We had the great pleasure of hosting Dr. Ljubomir Velickovic and his son, along with another music student, which made for some lively musical gatherings in our living room! I have to tell you, as a non-musician, the joy and enthusiasm that real music brings into the lives of these young people is something to envy. One of my favorite pastimes has become simply watching musicians when they get together. It doesn’t take long before the small talk is out of the way and they start making music somehow. What a gift it must be to have that instant musical bond with strangers! This is our third year of participation, and it’s been nice turning strangers into friends as we get to know some of the other families. As for the music itself, we are fortunate in that MTAC-Butte has thus far been committed to the great “canon” of the western tradition. Now and then, sure, the teachers introduce something different just for fun, but there is no egotistical thirst for radical experimentation among the teachers here, no chasing after showtunes and pop culture. The students learn the highest and best music that our civilization has produced, and they learn it well. First things first.